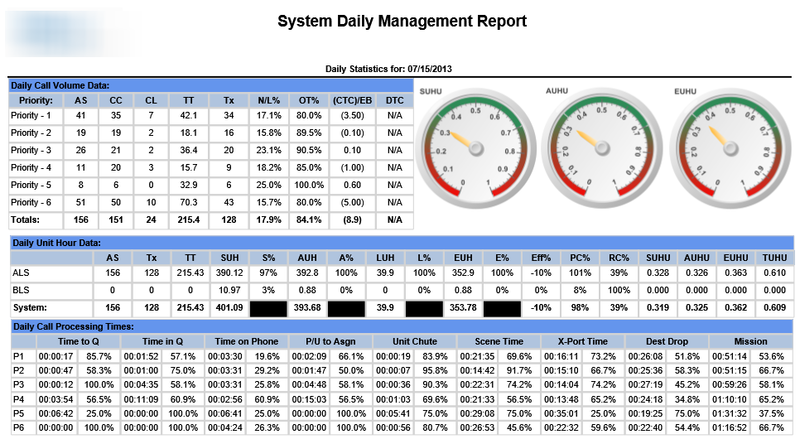 FirstWatch customers can leverage our real-time data capabilities through the addition of Custom Reports, developed against the same data that FirstWatch is already pulling and analyzing from your CAD, ProQA, ePCR, RMS, phone, and hospital data. 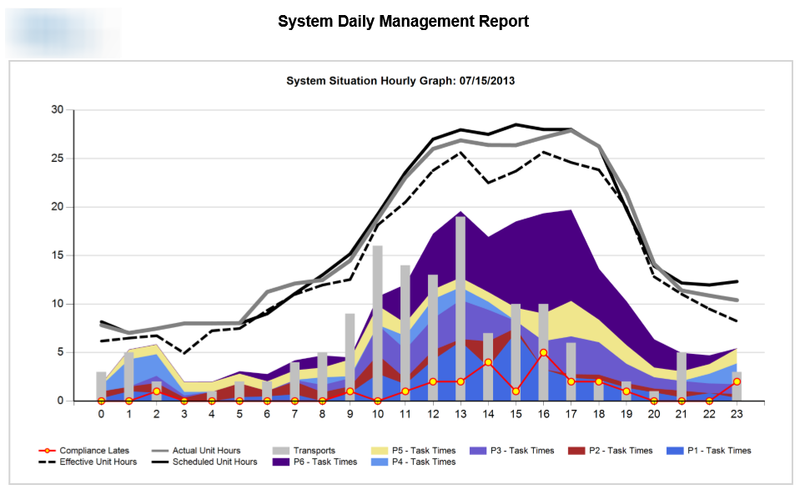 Our reports offer users the ability to define specific and unique case views of data in a way which makes sense for your organization. Through the use of SQL Reporting Services, we can automate the delivery of report data to defined organization users and groups. The reports can be exported or delivered in various formats including Excel, Word, PDF, HTML, XML, CSV, and TIFF. Similar to our triggers, we provide the ability to define what you want to see, how you want to see it, and who gets to see it. 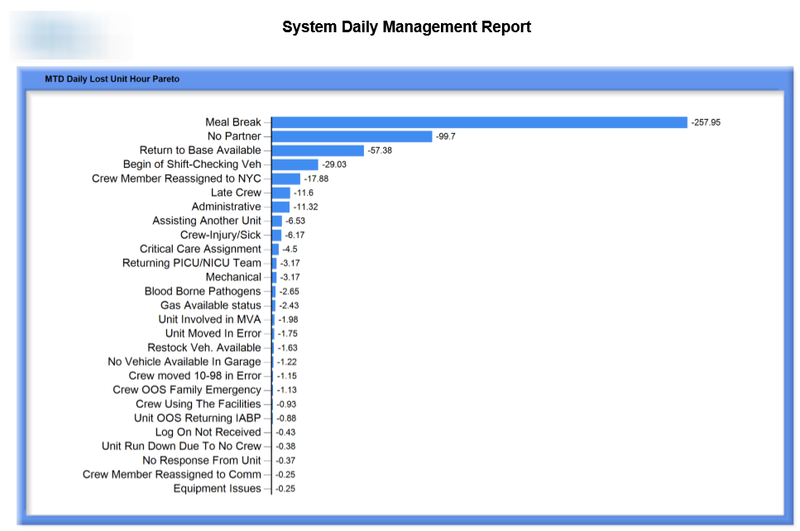 The Daily Management report offers a near real-time dashboard view of what is happening within your system to help monitor the effectiveness of different aspects of your EMS system operations. We were experiencing problems with crews being over extended at facilities due to extended bad statuses. 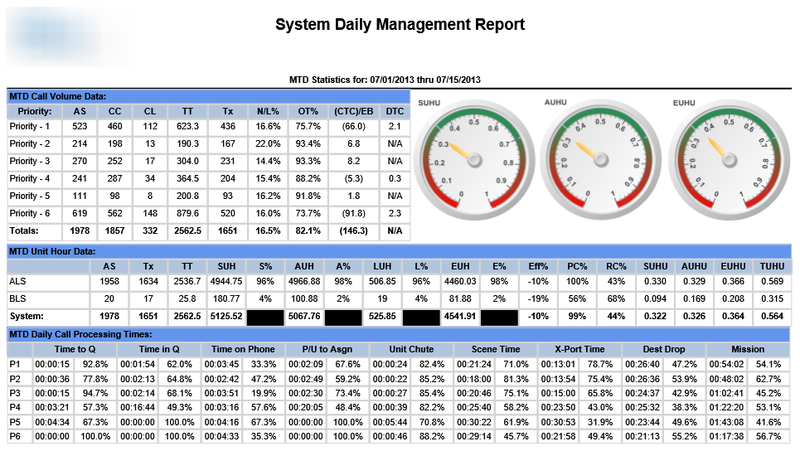 FirstWatch created for us a weekly Extended Status Report in order to better gauge how we‘re doing with our turn-around times due to open/delayed bed status. We are now able to use that report and work together with our contracted hospitals to improve turnaround times and better facilitate and plan for transports. We push this report out to all of our crews each week so they can compare how they are doing compared to other crews.